Courtesy of The Atlantic, an interesting and detailed story on changing opinions on transgender rights in China. This follows up the story I reported on regarding transgender rights in Taiwan, and apparently a catalyst for this new-found positive interest is the social media exposure over the Oklahoma transwoman-transman couple. 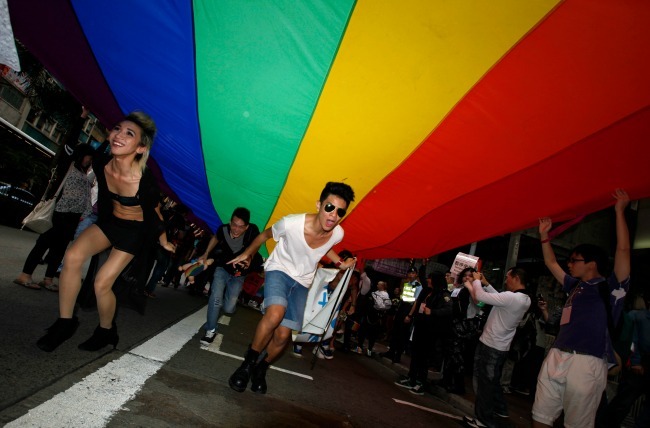 From the Shadows: China’s Growing Tolerance of Transgender Rights – Jill Levine – The Atlantic. This entry was posted in Activism, Politics and tagged acceptance, china, international, transmen on August 10, 2013 by .